Ohio Secretary of State Jennifer Brunner on the Foreclosure Crisis and Her State’s Lawsuit Against Ally Financial | Democracy Now! JUAN GONZALEZ: Calls are growing for a nationwide moratorium on home foreclosures following the recent revelations that major lenders may have committed fraud while forcing thousands of people out of their homes. Ally Financial as well as Bank of America and JPMorgan Chase have suspended foreclosures in twenty-three states after admitting to authorizing foreclosure affidavits and other documents without proper vetting. On Thursday, the White House announced President Obama will not sign a bill approved by Congress that could have made it easier for banks to foreclose on homeowners. This is White House Press Secretary Robert Gibbs. PRESS SECRETARY ROBERT GIBBS: Before we get started, let me just confirm for you all what a number of you are reporting and some of you are seeing. The President will not sign HR 3808. Our concern is unintended — the unintended consequences on consumer protections, particularly in light of the home foreclosure issue and developments with mortgage processors. So the President is exercising a pocket veto, sending that legislation back to Congress to iron out some of those unintended consequences. AMY GOODMAN: To talk more about the foreclosure crisis, we’re joined by Ohio Secretary of State Jennifer Brunner. Earlier this week, Ohio filed a lawsuit accusing the lender Ally Financial and its GMAC Mortgage division of fraud in approving scores of foreclosures. It’s the first suit of its kind in [the widening] foreclosure scandal. Secretary of State Jennifer Brunner, welcome to Democracy Now! Well, why don’t you lay out this lawsuit? Unprecedented. JENNIFER BRUNNER: Good morning, Amy. This lawsuit was actually filed by the Attorney General of the state of Ohio. If you go back in to a timeline, September 22nd, GMAC, which is an owned division of Ally, of which the federal government owns about 56 percent, indicated, as a result of some litigation, I believe, in Michigan, that it would not be proceeding on its foreclosures in twenty-three states where you must go to court in order to foreclose on someone’s home. Then, on the Monday after that, which was the 27th of September, the Senate passed its bill 3808. It was a House bill that had been passed in the House with the suspension of House rules and literally was taken from the Judiciary Committee, brought to the floor and voted by unanimous consent, and passed on to the President on the 27th. Then, on the 29th, JPMorgan Chase indicated that it was stopping foreclosures, or at least looking at its affidavits, in the twenty-three judicial states. And then, on the 30th, I went ahead and announced, with the permission of the Department of Justice, that I had already referred JPMorgan Chase on the 23rd of August for review and investigation of its foreclosure documents, because, as Secretary of State, I notarize — excuse me, I license all of the notaries who notarize documents in the state of Ohio. JUAN GONZALEZ: And one of the provisions of this bill, as I understand it, would have, in essence, loosened the regulations in terms of notarizing documents, because one of the big problems appears to have been that many of these banks were doing mass notarizations of documents where the notary did not actually witness the person who signed the document that they were notarizing? JENNIFER BRUNNER: Yes, there has been a movement to allow for the electronic signature and notarization of documents. And as these mortgages have been used as backing for mortgage-backed securities, every time those securities are traded, there literally should be some kind of paperwork showing the change in the interest in that mortgage note as it’s traded as backing for securities. Many times what happens is when a homeowner actually is not able to pay their mortgage and the foreclosure proceeds, this paperwork hasn’t been done. They haven’t kept up with it. And then they’ll take one employee at a bank, and they’ll work with this chain of banks who are in sort of this list of owners of this chain of title, and that one employee at the bank will become an officer of multiple banks, including also the Mortgage Electronic Registration System. And then they’ll go through a process of notarizing these documents en masse. So, for instance, in Ohio, even though there wasn’t the electronic use, we know that it’s allowed in Minnesota, Arizona and Nevada, but in Ohio we had eight notaries notarizing 18,000 documents a month. Then there are other reports of electronic signature notarization where there are 2,000 to 5,000 done in a day. And our concern is that there — in some instances, there doesn’t seem to be this requirement, because the technology has moved faster than what the laws are, for there to be this personal appearance before a notary. But then, in other cases, the banks are completely ignoring it, and some of the law firms for the banks are doing the same. AMY GOODMAN: As we talk about foreclosures in Ohio, I wanted to play for you the words of the Democratic Congress member Mary Kaptur. This is Marcy Kaptur speaking on the floor of the House in January 2009. REP. MARCY KAPTUR: Why should any American citizen be kicked out of their homes in this cold weather? In Ohio it’s going to be ten, twenty below zero. Don’t leave your home, because you know what? When those companies say they have your mortgage, unless you have a lawyer that can put his finger or her finger on that mortgage, you don’t have that mortgage. And you’re going to find they can’t find the paper up there on Wall Street. So I say to the American people, you be squatters in your own homes. Don’t you leave — in Ohio and Michigan and Indiana and Illinois and all these other places where our people are being treated like cattle, and this Congress is stymied. AMY GOODMAN: Ohio Congress member Marcy Kaptur. Jennifer Brunner, Ohio Secretary of State, her message was: produce the note or just stay in your house. Would you support that? JENNIFER BRUNNER: Well, Marcy had it right over a year ago, because you’ve got many situations where — the government’s going to have a big mess to straighten out, because people have already lost their homes. Those homes have already been sold. And if they go back and they see that the paperwork is substandard, something has to happen to make things right for the people who have been out of a home and it hasn’t been done according to the law. Look, the bottom line is, the banks hold consumers to the very letter of every contract. For some consumers, if you’re a day late on a payment, up goes your interest rate, or if you’re a day late on a payment, they’re going to go ahead and foreclose. And why is it that the banks don’t have to follow the letter of the law when it comes to taking something so important as someone’s home? JUAN GONZALEZ: Well, I’m struck by the fact that these major banks that have declared their own moratoriums are only doing it in the twenty-three states where they actually have to go to court to get a foreclosure approved, and in the other states where there is no court process, they’re not having a moratorium. So, that seems to be not so much that they want to rectify an error, but that they want to avoid the potential litigation that may result from some of these fraudulent foreclosures. JENNIFER BRUNNER: You make a very good point, and it’s the difference between wanting to do it right and wanting to do it in a way to not get caught. AMY GOODMAN: Secretary of State Jennifer Brunner, the White House announced that President Obama will not be signing the congressionally approved bill that could have made it easier for banks to foreclose on homeowners. Consumer advocates had criticized the measure over a provision that would have limited homeowners’ ability to challenge foreclosure documents prepared in other states. The White House move coming amidst growing calls for a nationwide moratorium on home foreclosures amidst these revelations about the major lenders having committed fraud while forcing thousands of people out of their homes. Have you evaluated that legislation? How did it get passed, both the House and the Senate? 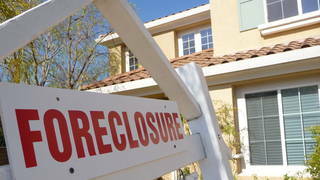 And would you support a nationwide moratorium on foreclosures? JENNIFER BRUNNER: Well, I actually — OK, couple of questions here. I had received an alert on the 30th of September from the National Association of Secretaries of State about this bill. They said they had been watching it and that they looked at it all summer, that it had been off of the radar screen for the Judiciary Committee. And something just didn’t seem right. And I actually put a call in to the White House on Monday and said, “I think there may be a problem with this bill.” As I started doing more research, my concern was, was that in states where it was very lax and things could be done electronically, the potential was for the banks to move their foreclosure processing offices to these states, and then this law would certainly put judges in a position, in the judicial states, where they would have to honor these notarizations, even though in their own states they wouldn’t be legal. I saw this potential for basically creating a trap door for the banking industry, who — we’ve got Citigroup who said, “Hey, we review our procedures regularly, and we’re not going to be making any changes.” So, I saw this as a problem. Then, the next day, on Tuesday this week, we released an email to a very large email list that I maintained from when I was running in a Senate campaign in the first part of the year and unfortunately lost the primary, but we still communicate with our supporters. And we just did a call to action. And people get it. They saw it, and they know that this has been patently unfair. So, the question is — it was very suspicious. It was odd that it was passing at this time period, when banks were voluntarily stopping their foreclosure processes, and then all of a sudden here is this — what looked like an innocuous little bill. Now, the problem with a national moratorium on foreclosures is that the issue of a foreclosure deals with property in a state. It’s really more conducive to state law. 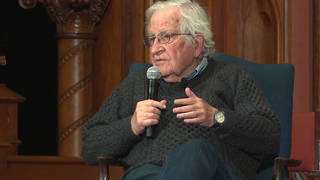 What I see as needing to be done is for the federal government to be looking at some kind of a task force, a strike force, so that individuals who have been unjustly denied due process in the deprivation of a very important property right, which is their right to remain in their home, especially not to have their home taken from them without due process of law, that we find some way to address what’s happened to these folks. Look, if we have a drug recall that involves damage, if you want to go back to the period of time when we had thalidomide and we had all the babies born with deformities because something went wrong in the research and the approval, those people were compensated. And we can’t just say, “Let’s put this under the rug, and let’s just — let’s keep this going. We’ve got to get out of this housing crisis and this housing market crisis.” There’s a group of people who have been wronged here, and we have to do something to make it right. We need to bring people together. We need to figure out how we do it. It’s not going to be an easy problem. It’s very complicated. But what’s happened is wrong, and we need to — people need to come clean. The banks need to come clean. The attorneys involved need to come clean. And we need to make it right for people. JUAN GONZALEZ: Well, you mentioned that you have oversight over notaries. Is your office doing anything to investigate or go after some of these notaries who apparently were not actually witnessing the documents that they were signing or that there were notarizing? Also, I’m interested in what the impact in Ohio might be of what is an effect on the housing market of another hit like this, where basically the sales of homes will be delayed, in terms of what will be the impact on the housing market. JENNIFER BRUNNER: Well, I think it remains to be seen what’s going to be the impact on the housing market, because I don’t think we know yet what the extent of the problem is. The difficulty I ran into is that my law, the law in Ohio, like the laws in many states, have not kept up with the technology and the changes in our housing transactions and what happens to the mortgages after they’re sold and used in mortgage-backed securities. I did not have the authority to investigate, myself, per se, or even to prosecute, so I referred the matter to the US District Attorney and said, “Could you please review and investigate this?” and did that, because this was happening across state lines. So it’s — what we need to do in our state and in many states is to look at our laws and see what changes need to be made. In the case of Ohio, I’ll be recommending changes to the Ohio legislature. AMY GOODMAN: I wanted to ask about another issue, while we have you in the studio, Jennifer Brunner, Ohio Secretary of State. It’s about the case, a voting rights case — Secretary of States, of course, involved with voting — the Justice Department’s settlement with Cuyahoga County regarding various voting issues, that was announced a month ago, part of it to protect the rights of Spanish-speaking Puerto Rican voters. Can you explain? JENNIFER BRUNNER: Yes. This was a great thing for northeast Ohio, for the state of Ohio. This is the first time Ohio has been asked to actually print ballots bilingually, which may sound very — pardon the pun — foreign to places like California or Texas, where it’s just a matter of course that they do this, but there’s a very large — excuse me — Puerto Rican population in Cuyahoga County, which is Cleveland, Ohio. The Justice Department had been documenting the fact that there was a significant enough number of Americans of Puerto Rican descent who had limited English proficiency, came to the Cuyahoga County Board of Elections, and to the benefit of the Cuyahoga County Board of Elections, they stepped up, worked on a consent decree, and we were able to do this in a very, very orderly fashion in Cuyahoga County, so that this November there are about seventy precincts in the Cuyahoga County area where there will be bilingual ballots. And by next May, countywide, there will be bilingual ballots. The thing about this is that the Justice Department used a little-known section, 4(e), that deals with American citizens who were educated in American flag schools, such as in Puerto Rico, but it’s recognized by the Voting Rights Act that they’re educated in Spanish. And when you have people in those circumstances, whether they may be American Indian or Eskimo or from a Spanish-speaking American flag school, they need to be accommodated. We did a video in our office to try to help the community understand what this meant to real people. And we talked to people in the Puerto Rican community in the Cleveland area who could explain when they came to the mainland, what their transition was like, and how it will benefit them to have bilingual ballots. And I’ve already spoken to a poll worker in that area who said the first election, which was in September, where they actually had just sample bilingual ballots, it was so much easier for the voters in that precinct. And even as a poll worker, she had an easier time making sure that those voters had what they needed. So this has been a good thing for Ohio, and it’s been a smooth implementation, thanks to the good work of the board members and the staff at the Cuyahoga County Board of Elections. AMY GOODMAN: Jennifer Brunner, we want to thank you very much for being with us, speaking to us from Columbus, Ohio. She is the Ohio Secretary of State.